MINDS medical supports hospitals in billing their medical services. Our "MM-care" software automates the medical coding of patient files. Thanks to artificial intelligence, it can code up to half of all cases automatically and revenue-proof. Every hospital needs competent staff to code its services correctly. For this purpose, either doctors must be turned off, medical controllers must be employed or external coding companies must be commissioned. ​to take care of the patients. Your hospital attaches great importance to protecting the data of your patients. ​That is why MINDS medical delivers "MM-care" directly to your server. This way, confidential patient data never leaves your home and you retain full control. In german hospitals alone, about 20 million patients are treated in hospital every year. insurance companies - well-paid workers who are very difficult to find on the market. The consequences are poor and late settlements, while an increasing number of hospitals are threatened with insolvency. Thanks to artificial intelligence, "MM-Care" can independently code numerous new billing cases on the basis of historical data. Already after a short training "MM-care" can automatically codes around half of all patient cases. 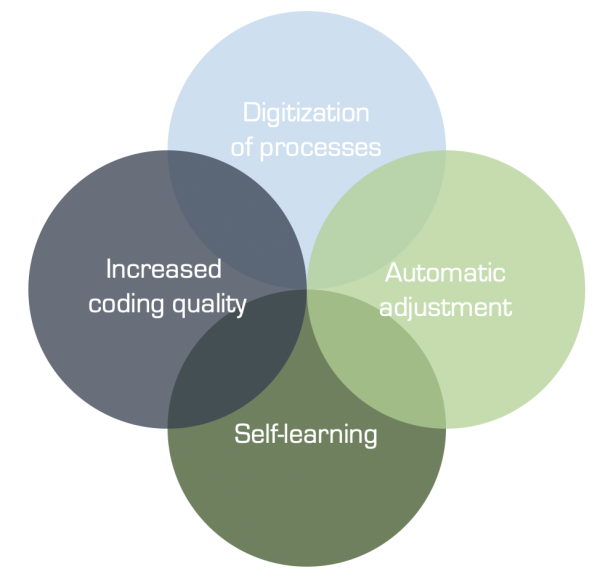 Hospitals can thus significantly improve the quality of coding and billing. No additional coding specialized staff has to be added and the doctors can concentrate on the treatment of the patients. 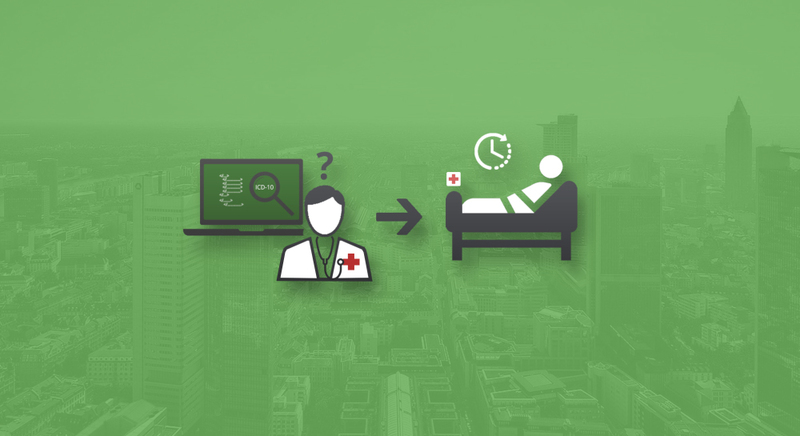 Thanks to the relief provided by "MM-care", coding specialized staff can take the time for complex cases or support the doctors in the documentation during the case. MINDS medical is the only provider on the market that uses a coding assistant with artificial intelligence. MM-care automatically codes about half of all patient cases. Through knowledge transfer, uniform coding standards can be ensured throughout the entire hospital network. The built-in machine learning techniques allow medical controllers to train MM-care not to repeat mistakes.